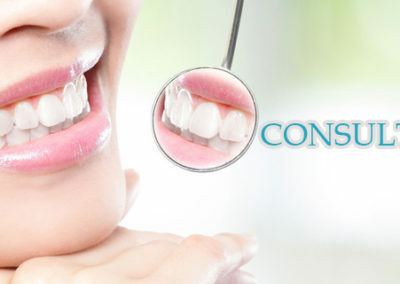 Dental consultation, which is recommended at least once a year, is an assessment of a person’s oral health. The mouth is an essential part of the digestive process. It’s where food that nourishes the body goes in. Before it reaches the rest of the digestive tract, such as the stomach, food should already be broken down into tiny pieces and “softened” so it passes through the esophagus more easily. For this reason, teeth are extremely important. As the muscles of the jaw and some parts of the face move, the teeth turn big chunks of food into smaller ones so they become more digestible. Moreover, with the combination of saliva, food is gradually converted into starch. The body needs it to generate fuel for the cells, which it uses for energy consumption. However, many situations can damage oral health. They can affect not only the teeth but also the gums, roots, bones, and even the jaws. While some of these issues are mild, others can be severe and can significantly reduce a person’s quality of life; some can even be life threatening. One of the best ways to prevent, treat, and manage these conditions is to undergo a dental consultation. Depending on the consultation the person needs, a general dentist, endodontist, periodontist, or orthodontist can help. There’s also a dental surgeon and an esthetic dentist.